Winter golf lessons are now available indoors on our high tech virtual simulators. The feedback provided, along with professional instruction is exactly what you need to take your game to the next level! 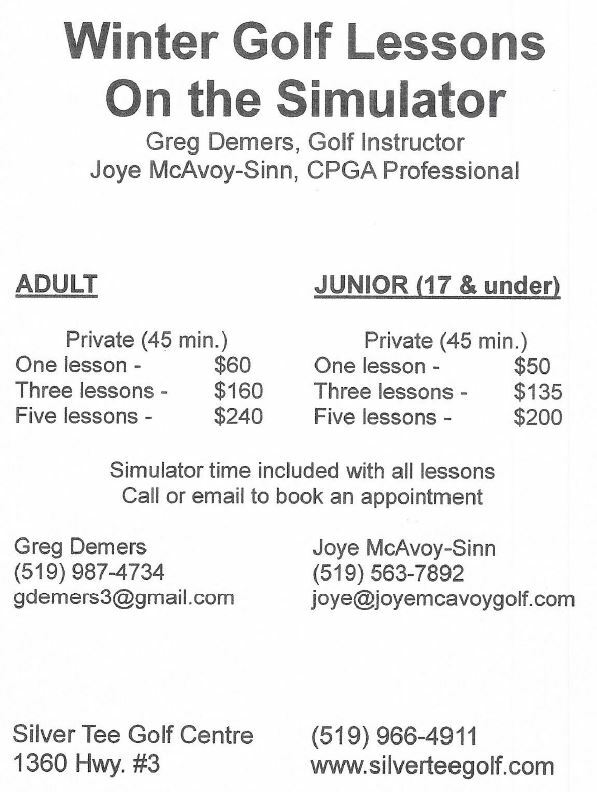 To book your lessons, please call the Proshop at 519-966-4911. Next Yophoria Frozen Yogurt Now Available at Silver Tee!